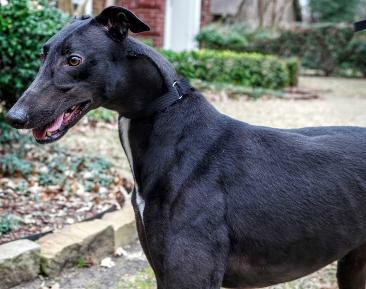 History: Kam (Bwg Good Karma), came from the Birmingham track although he shows to have no races. 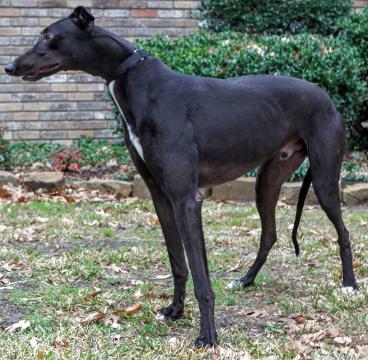 Kam was a leased dog who came to Texas to find his forever home with TAGS after it was determined he would not race and was released by his owner. 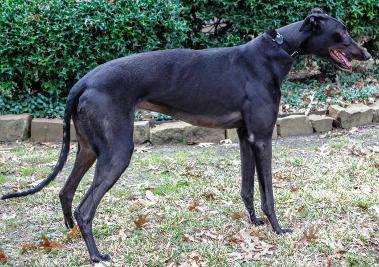 Kam’s pedigree contains many of recognizable dogs, Lonesome Cry, Gable Dodge, Kiowa Sweet Trey and Oswald Cobblepot. 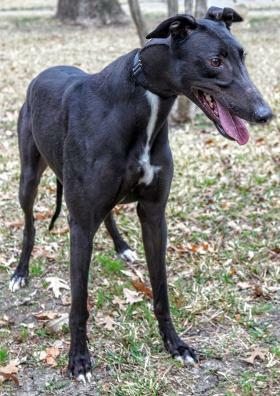 Kam is a very large black male “puppy.” He has a very sweet disposition and will receive house manners training (using a spray water bottle). So far he has had no potty accidents in the house (nice to have a bellyband just in case). 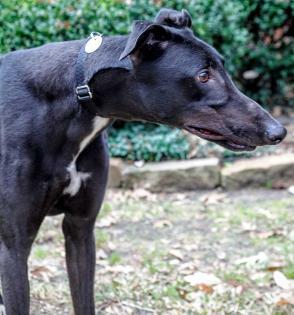 He rides well in the car and sleeps reasonably well at night – he is still a little of unsure of his surroundings and cries until he hears his foster’s voice (telling him to be quiet). 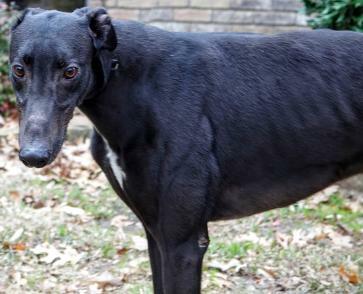 Kam with his new family, Glenda and Gerald (Greyhound sister Dolly not showing). Congrats to all! May 1, 2016 update: Kam found his forever retirement home with a nice retired couple. Glenda, Gerald and greyhound sister, Dolly are off to tour the country in the summer and to Phoenix in the winter. March 25, 2016 update: What a difference a few weeks makes!! Kam had much to learn when he first arrived. He’s a large boy and at first he did not know what to do with all that body. He now does not have to be the first at everything or to make an impression on the other dogs in the home. For a youngster, he is proving to be fairly laid back. He is very affectionate and is somewhat insistent that you pet him even if you think it’s time to stop. He is still learning some space issues and will poke his big, cold nose on you to get your attention – if you are lying down watch your face! He learned the word “no” (with frequent use) and has proven to be a quick study. He’s a dream in the car – he knows to enter by using the floor board and hopping onto the seat and vice versa for exiting. He lays quietly while riding (he doesn’t even want to help drive). Kam has begun to play with toys but does not rip them up (although most of the ones he has have already received that rough treatment). He does need more leash training. He’s a big, strong boy and wants to pull. One of his best attributes is that he’s never had an accident in the house. 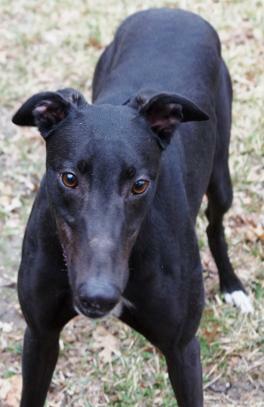 Kam is a very handsome, well-built boy who’s looking for some permanent attention. He fits well in the pack and you’d never know he has been here such a short time. He loves to hear, “Good boy!! !” Maybe he will be your Good Boy. March 7, 2016 update: Kam came to TAGS for a life of retirement and to find his loving lifetime home.